Hi, friends! I feel like it’s kind of been forever since I posted an update. My apologies! It’s been kind of hectic around here. First of all, my family got their pool back up and running so you can guess how I’ve been spending these sunny August days! I defy the pale indoor author stereotype. I love being outside and I especially love swimming. Next, my sister and I attended Jazzed About the Library, which benefited The Colony Library. Such wonderful people, a wonderful event… And we got free In & Out Burger! The day after the concert, I cut all my hair off. Okay, not all of it, but ten inches, which was enough to donate to Locks of Love! I’m hoping that some good will come out of those messy brown curls. Finally, I’ve been playing around with free stock photos, creating promos for my fellow authors and me. One has a typo (I need to fix that) but it’s so pretty, I have to share it anyway! I hope you’re all doing well! I’m working on three different books at the same time. I think I might actually be crazy. This week has been super busy and I can’t help but think it’s only going to get busier as September approaches. 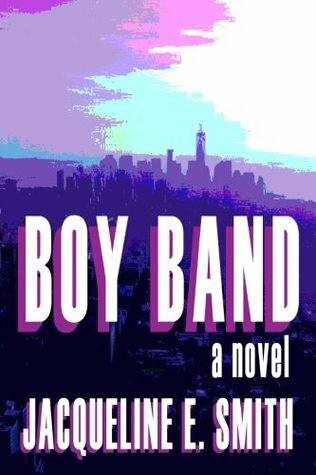 I was thrilled yesterday to learn that Backstage, the second book in the Boy Band series, won an award! Go Indie Now awarded me the Literary Excellence Award for July! I was so excited! Because of my busy schedule, I haven’t been focusing on new projects as much as I’d like. I’m hoping that will change soon. I have four – count ’em… one, two, three, FOUR – projects that I’m currently working on and all of which I’m really excited about. I think I already mentioned all this in a previous blog post, but my biggest challenge in having four current works in progress is, of course, figuring out how to divide up my time and attention and deciding which book I want to finish and polish and release next. I’m hoping to figure it out in the next few days. I love writing so much and I love new books and I’m so excited about ALL of these new projects! I wish I had eight hands. Like an octopus. That’s all I’ve really got for today. I hope you’re all having a fantastic week! Tomorrow is Friday! Yay! Backstage, the second novel in the Boy Band series, has won the Excellence in Literature Award from Go Indie Now! I’m so honored! Thank you to all the wonderful readers and indie advocates over at Go Indie Now! I love you all! Happy August, friends! I hope you’re all doing well! Perhaps this is just me being me, but I love the fact that this new month is beginning on a Monday. It’s like two fresh starts in one. I know, it doesn’t have to be a Monday or the first day of a new month to make a fresh start, but it just feels better. Like, I couldn’t begin a diet on a Thursday. That would just make no sense. And as a matter of fact, my own physical health is one of my new goals for this month. I’m not unhealthy, but I know I could be better. Working from home, I don’t get as much exercise as I should. I don’t eat as well as I should. Pasta is my vice. And the only thing I actually know how to cook. I need to get more fruits and vegetables and actual food. Not just microwave meals and sandwiches. But you know what? Enough about my starch-and-carb-fueled nutrition. Let’s talk about things that are a lot more fun. Like Harry Potter! On Saturday night, I got to do something I never thought I would have the chance to do again after 2007: I attended the midnight release of a Harry Potter book. Now granted, it’s not an “actual” Harry Potter novel. It’s a script of the new play, Harry Potter and the Cursed Child, which is currently playing at London’s West End. I would love to see the play, but since I’m a self-employed author who still has student loans to pay back, overseas travel is kind of out of the question right now. Still, the release party was everything I hoped it would be. I went to the party with my sister, who was unable to attend the midnight release of The Deathly Hallows because she was in the hospital recovering from back surgery. Needless to say, going to the party with my best friend and favorite person in the world was probably the best part of the night. Even if they did sort her into Gryffindor when everyone who knows her knows that she is a true blue Hufflepuff. I was sorted into Ravenclaw, however, so at least they got that one right! We played every single game of the night and filled out every single trivia sheet. We even played Harry Potter Jeopardy, but it was then that I learned that I am probably one of the slowest hand-raisers in existence. Sadly, I am simply not fast enough for competitive trivia games. That’s okay though. It was a lot of fun to watch other readers and fans vying for the top spot. And there were a lot of tricky questions, some of which none of us knew! Not gonna lie, I laughed out loud. When I told her to pose for a picture, she had no idea what her card said. Counting down to midnight, to the moment when the book was actually released, felt just like it did ten, twelve, fifteen years ago when we all cheered with joy and anticipation of a night spent reading our favorite books, reliving our time at Hogwarts, and reconnecting with the characters, whom many of us have come to regard as long lost friends. By now, my sister and I have both read the script. I can’t even begin to imagine how magical it is on stage. I had tears in my eyes simply reading the words on a page. Seeing it performed live… it must be the most incredible experience, especially with the cast that they have now. I will admit, I’m not altogether certain I will be accepting this new story as canon. I love Scorpius Malfoy. He might be one of the cutest characters of all time, and I absolutely ship him with his crush in the book (no spoilers!). But… I don’t know… there were certain elements to the plot that I simply don’t think I’m ready to make my head-canon. As far as I’m concerned, the true story of Harry Potter ended on Platform 9 3/4 as Albus Potter departs on the Hogwarts Express to begin his first year at the greats School for Witchcraft and Wizardry the world has ever known. I think his future is still wide open and that great things are waiting for him. As for my books, I’m currently working on the fourth Cemetery Tours book, the fourth Boy Band book, and two possible new books, one of which is kind of a spin-off and the other is a completely new standalone novel. I guess we’ll see how it goes!